Sumit Dhingra | Arvind Ltd. 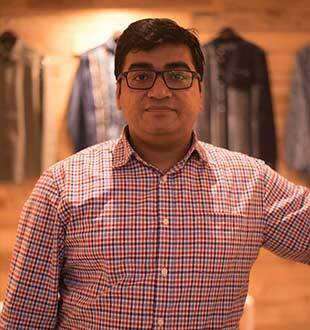 I was selected by Economic Times among the “40 under 40” list of most influential and young business leaders of 2017, I have managed to turn around and scale up the Nautica business after it was taken over by Arvind in 2012. I have also built Gant as the best brand at ALBL in terms of Sales productivity. In a memorable journey spanning nearly a decade, I have had opportunities to learn, build, turn around and scale diverse brand portfolios right from Bridge to Luxury Brands to Heritage Brands. I strongly believe that Arvind is the place for individuals looking for a a job which empowers them to choose their own path, and work with some of the best fashion and beauty brands in the world. It is a place with great culture, rich and long history, world renowned brands and an amazing set of people. It cannot get any better than that.